If it seems like just last week that we were ramping you up with news of a dedicated gin bar coming to Broadbeach, that’s probably because it was. Keeping the cat tucked firmly in the bag until the final hour, Old Tom Restaurant & Bar, dedicated to all things gin, is opening the doors as we speak and, guys, it’s hella smooth! Talented young chef Dayan Hartill-Law’s impressive resume includes positions across NSW and regional wineries, stints working alongside Peter Gilmore, Heston Blumenthal and Mastertchef host, George Colombaris and cheffing at Sydney’s fanciful Bentley restaurant, all before landing on the Coast with his most recent 18-month tenure at Versace’s Vanitas. If you’re lucky enough to spend a few minutes with this gently spoken chef, you’ll be schooled on a wealth of knowledge from intriguing cooking and preparation techniques (spherification, anyone? ), unusual ingredients and the stories behind their origin. We’re first to admit we’re not food critics, but we appreciate top quality fare when we taste it, and Old Tom is delivering on its promises. Step past the heavy black curtains to an ambient dining room with a dark, luxe colour palette with gold trim, lit by pendant lights and lined with large sinkable emerald green booths. 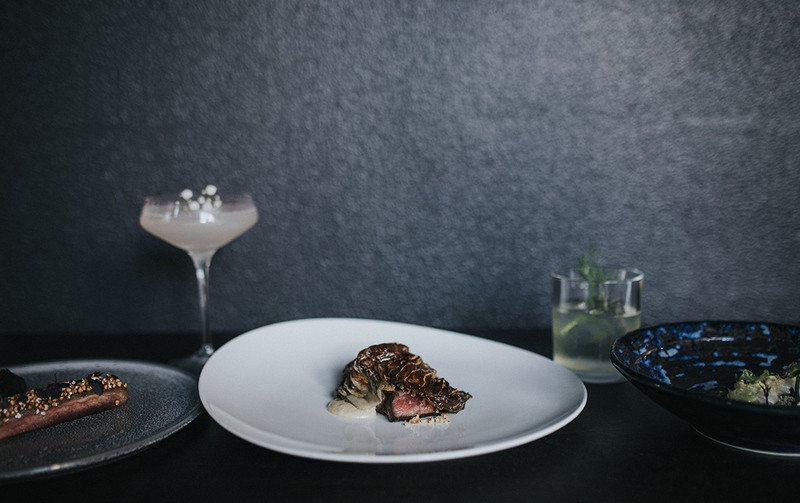 Here, Dayan’s fine dining menu is served in three, five and nine-course options; dishes which are creative and layered with complexity, without being stuffy. Changing regularly, the menu is hyper-seasonal and champions ingredients when at their optimum quality. Foodies, you’re going to love this place! Think: fanciful creations like free range Maremma duck, dry-aged in-house for four weeks and adorned with glazed, smoked honey; plus puffed buckwheat and quinoa with a generous side of smoked prune puree. Or the Yellowtail kingfish—ethnically caught by a single line fisherman and spiked to prevent the build up of lactic acid, ensuring the truest flavours—topped with kaffir lime kosho and seaweed that Dayan and his team has personally foraged from Straddie and surrounds. See, we said you’d be schooled. Yet don’t be scared away by the fine dining tag. The front zone of this moody prohibition era-style restaurant is reserved for lounging in large velvet armchairs with bar snacks and more casual share plates, aimed to ensure the experience is accessible to not just those with a fat wallet. We’re coming back to try Dayan’s take on a banh mi with octopus and the classic Vietnamese flavours of chilli and pickled veggie, as well as the locally-sourced yabbies served split with a umami butter and soured sea herbs. Sounds intriguing, no? Though we know you gin lovers are here for the hard stuff, with one of our fave mixologists, the charming and seriously talented Tom Angel, working his magic behind the bar. Aiming for quality over quantity, he’s justly proud of his growing gin collection, many of which are small batch, including the award-winning organic Herno gin from Sweden, as well as faves like Byron’s Brookies and Victoria’s highly-respected and awarded Four Pillars. We tried and loved Tom’s signature Baby’s Breath cocktail (made in honour of his wife, bless! ), a blend of Tanqueray 10, Lillet Rose, macadamia orgeat and a spritz of hibiscus. And the Sargent Tom, prepared with Hayman old tom gin, housemade fennel tonic syrup, house orange bitters and then smoked with pecan shells. 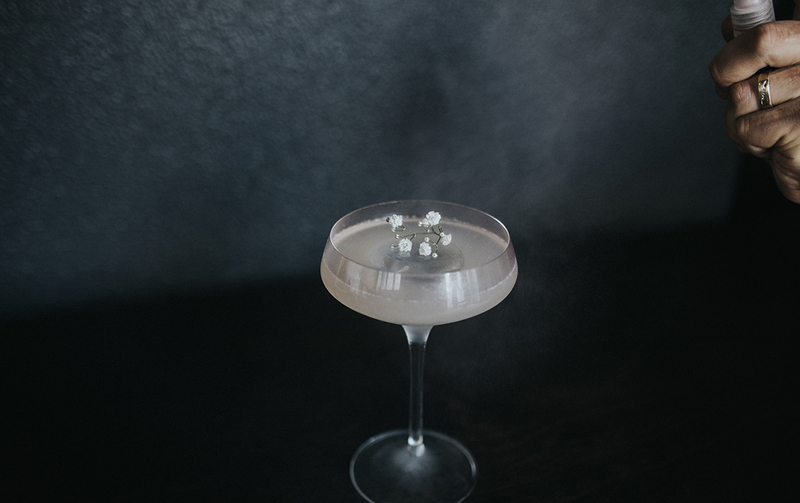 Tom and his team will even emerge on occasion to whip up one of their finest direct from an old-school martini trolley to your table. Together with a solid selection of whiskies and a painstakingly handpicked wine list, Old Tom totally lends itself to evening drinkies, even if you’re not ready to commit dinner. Old Tom Restaurant & Bar officially opens this Friday 24 November, so grab your fellow gin or fine food-loving friends and get booking! Love all things fine dining? Have you visited these restaurants yet?